​WOLO is a Reggio Emilia inspired shared learning space created by two certified teachers who love working with children and families. ​Uniquely offered at WOLO are our preschool prep and kindergarten prep programs, our creative performing arts preschool programs and our after/before school enrichment club to meet the needs of our community. WOLO School of Arts offers exclusively the Happy Keys Piano Program specializing in one-on-one preschool piano lessons, semi-private piano lessons and group piano lessons for all ages! In addition to our licensed child care centre for flexible "drop-in" child care, our programs include guitar, cooking, ballet, hiphop, yoga, art, day camps and more! If you are looking for a beautiful space to host your events, consider our studios or rooms to host your workshops, special events and birthday parties! ​We are two Millennial and Gen-X preschool and elementary teachers with a passion for teaching and a desire to create a community space where learning, growing, and creating thrive. We are born and raised in Vancouver, BC with 10-12 years of teaching experience in the public and private school system. We grew up in the Cedar-Cottage Kensington and Mount Pleasant neighbourhood and plan to continue living here with our families providing a place for your families. We live in the one of the best cities in the world, however the concern for child care is a reality. We would love to continue to grow Vancouver families here. We believe at the heart of each amazing city lies fully engaged communities and compassionate beings. We began our journey and our dreams of creating a space in 2014 and have gone through many challenges, learning curves, and of course roadblocks but we are now finally moving forward! We are truly appreciative of all the people that have supported our journey thus far and for everyone who continues to do so at this moment. It really takes a whole community and team to start something exciting like this and the whole process amazes us. We are inspired to create space that is here to uplift...and since we are dreamers and doers, we will be that change that we wish to see in the world! Our vision includes a child care centre that is Reggio-Emilia inspired and incorporates best practices in education while highly valuing the arts. Our vision for a school of arts includes educational development in the areas of music, art, character and psychological development. We specialize in providing fun, engaging, and educational piano lessons for all ages. It is our desire to include art, play and dance therapy for children and adults as we believe in providing services to support well being. We endeavour to meet the needs of physical, emotional, spiritual, and mental growth of our students, families, and community. ​Our experiences have guided us to create something more than just a child care or music school. We are inspired by all beings' unlimited potential, and we believe in interest-based learning, guiding students, collaborative work, and much more. We extend this invitation out to our staff and families as we work together as a community to create a welcoming, open, and diverse space. Just like children who are continuously growing and learning, we as a child care learning centre and "school of arts" endeavour to continuously grow and learn from our students, families, community, world and our team. 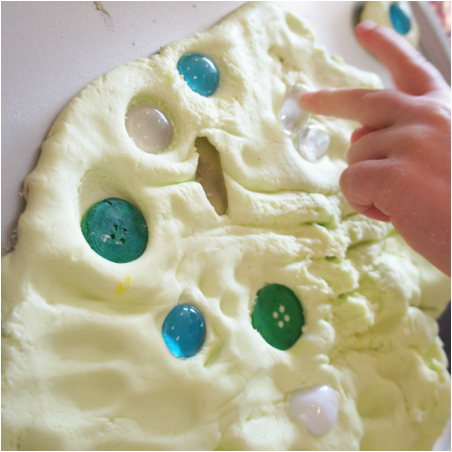 The Emergent curriculum is based on the Reggio Emilia Approach which is an educational philosophy focused on preschool and primary education. It was started by Loris Malaguzzi, who was a teacher himself, and the parents of the villages around Reggio Emilia in Italy after World War II. They felt that it is in the early years of development that children form who they are as individuals. This led to creation of a program based on the principles of respect, responsibility, and community through exploration and discovery in a supportive and enriching environment based on the interests of the children through a self-guided curriculum. Children have a relationship with other children and with material items in the world that children must be allowed to explore and Children must have endless ways and opportunities to express themselves. Children will be encouraged to do things on their own if able. An open-ended art activity will be provided each day (as opposed to craft) to foster their creativity and discourage competition. Documentation will be recorded of children’s conversations and pictures taken for display which will serve as memories for the children and sharing the day with the parents. "A great introduction for toddlers to an engaging philosophy." "My son loved the class! First class he's ever been dropped off at and not had me stay. =) Monica and Donna were so warm and welcoming!" "Instructors use a wide range of easy to find tools and materials. Instructors are very patient and works hard to communicate with kids with detailed feedback/comments. I really like the group activities (i.e. : cooking pretend vegetables in a pot for Thanksgiving, cookie jar felt board game) because it helps teach taking turns and learning numbers. They have new activities every week and it is very inspiring. I was impressed with the creative Halloween activities with the pumpkins, the colouring of the play dough in a bag, the many fine motor skills, art area is always creative. The end of session portfolio is also a fantastic souvenir. I find this program is much different than just "Strong Start" because the instructors pay a lot of attention to the kids and the kids learn in a more intimate environment. Kids get lots of attention and care. I highly recommend this program." "Program cost is very good. Low comparable to other programs at community centres. Both instructors are very knowledgeable, very well prepared and good with kids! Great singers too!" "The class is well structured and well prepared. Thank you!"